The Climbing World Championships is held every two years and, since 2011, showcased both the climbing and paraclimbing athletes. With climbing coming to the Tokyo 2020 Olympic Games, the 2019 Climbing World Championships was due to be hosted by the Japanese Mountaineering and Sport Climbing Association (JMSCA)at the city of Hachioji. Unfortunately, on 16 March 2019, the IFSC was informed by JMSCA vice president Yuji Hirayama that the arena in Hachioji was not available for the full period initially planned, and was actually only available for one day less. After an initial evaluation, it was reported that the shortened schedule would be critical. The JMSCA and IFSC looked at viable solutions for a schedule which took into consideration both climbing and paraclimbing. However, no solution that could ensure the smooth running of the event, and a fair field of play for all athletes, could be found, and the Plenary Assembly was forced to make a tough decision on whether to take a big risk in the hosting of both climbing and paraclimbing World Championships in Japan, or to temporarily split the two Championships for 2019. As this news disseminated to the athletes and before any official announcement was made, many calls for the IFSC to keep the Paraclimbing World Championships in Tokyo were made on social media, and a petition on Change.org began to gather momentum, and at the time of writing had over 5,000 signatures. The organisers of the petition believe that coverage of the paraclimbing event would suffer from not being shared with the able bodied event, and they question if the IFSC would be able to recreate the full experience just for the paraclimbers. While not ideal, holding the event in France does have its benefits: it would be less expensive and allow for more athletes to participate, and the time difference would be more amenable to viewers from the west. But the organisers of the petition claim that there are other options to be explored that would keep the Paraclimbing World Championships in Tokyo. However, the IFSC believes that going ahead with hosting the event in Tokyo is risky, and that if complications occurred down the line then part of the World Championships would be in danger of being cancelled. In order to provide the high-quality, professional World Championships to both climbers and paraclimbers, the best course of action would be to host a separate Paraclimbing World Championships in Briançon, France. Since the decision to host Climbing and Paraclimbing World Championships belongs to the Plenary Assembly, the Executive Board and JMSCA asked the Plenary Assembly to vote “To allow for the hosting of the 2019 World Championships and the 2019 Paraclimbing World Championships in separate locations and/or dates”. The IFSC stressed that the vote refers to the 2019 Championships only and there is no intention, at this stage, to split climbing and paraclimbing at the WCH 2021 in Moscow. The vote was approved unanimously by the Plenary Assembly, after a productive discussion and debate, and the location of Briançon, France, was confirmed. Please do some fact checking guys. "The Climbing World Championships is held every two years and, since 2014, showcased both the climbing and paraclimbing athletes." No, the 2 championships have been held concurrently since 2011, including 2012 when Fran Brown won gold. The Petition has sent a warning shot across the bow of the IFSC. Paraclimbers should be treated as equals. The BMC record on this is also not good. Very little support is given to Paraclimbing in the BMC and they need to change this. 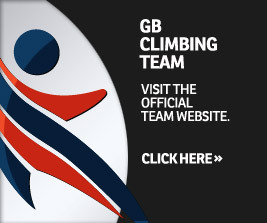 A GB climber gets into a final of a World Competition and its all over the BMC website. 3 GB Paraclimbers become World Champions and its hardly mentioned. The BMC need to treat the Paraclimbers as equals and more effort needs to go into promoting the sport and getting paraclimbers to participate as well as celebrate their success in the same way they celebrate the GB Senior and Junior Team successes.